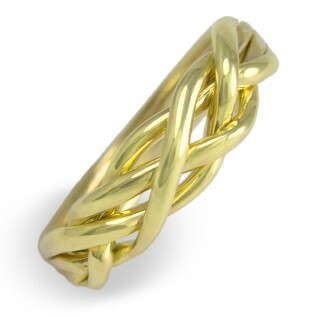 This puzzle ring is available in 14k yellow gold, 14k white gold, tricolor, platinum or sterling silver. All bands are solid. All Jose Grant puzzle rings made in the USA on site by our own craftsman.